My event is over. Phew. I’m still just so tired. My head is spinning. There is a lot of stress, pressure, and info swirling but I’m happy. I’m happy how it went. I’m happy how our team did, annnnd I’m happy I don’t have to do it again this weekend already. Now I’m detoxing. We work so hard and so long that eating and sleeping aren’t top priorities. Now I need to eat real food. I love organizing our meals but feeding that many people, with enough options, is exhausting. Every meal we were at I was thinking of if the next needed confirmations, to be picked up, or paid for. Now I’ll slowly get back to real life. Marinade chicken in 1/2 of the caesar dressing and Italian dressings overnight or for at least 4 hours. Grill chicken until cooked through completely. Chop/slice lettuce, tomatoes, and cucumber while chicken cooks. 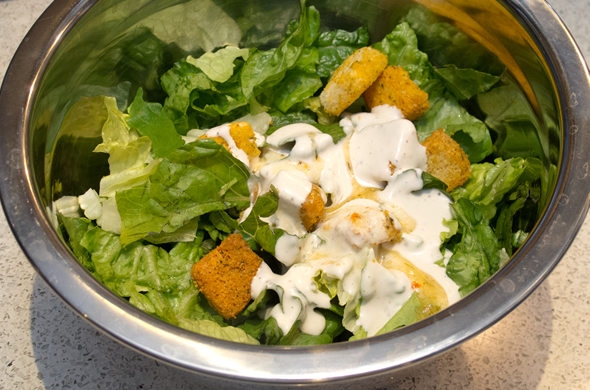 Toss lettuce, Parmesan, and remaining dressing. 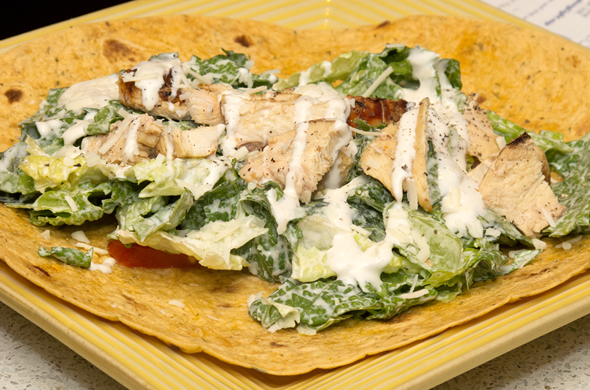 Assemble wraps drizzling with extra caesar dressing. It was really good. I used tomato basil wraps and they have a nice sweetness to contrast the dressing. The chicken was really good off the grill. Sandwiches are such a quick dinner. 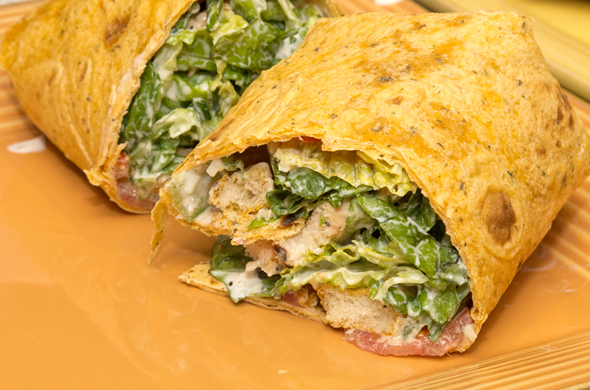 The quantity of chicken for this is so small, but is the perfect amount for a wrap. It is definitely an economical way to include some protein. Totally unrelated. Here’s the pup Windsor. 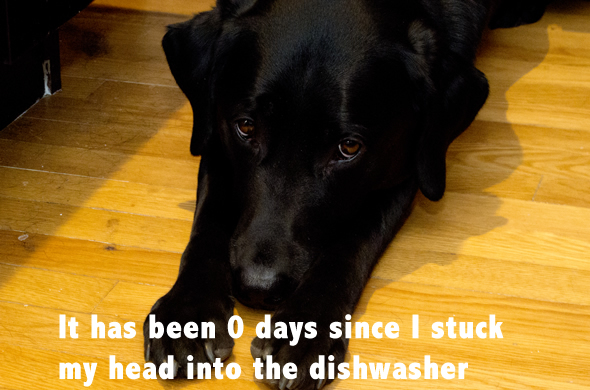 He was feeling ashamed after being told to get his head out of the dishwasher. He’d love to be a pre-wash if not told to stop…but isn’t that face so cute? ?